In the early part of century, miners took caged canaries into coal mines to provide warning of the presence of carbon monoxide. Animals are highly sensitive to environmental allergens and toxins like household cleaners, ultimately resulting in problematic health issues. 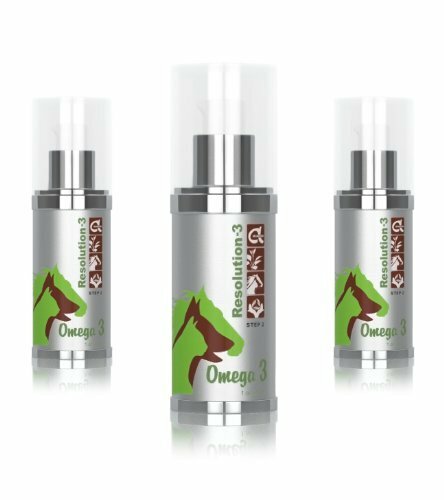 Resolution- 3® is a combination of products acting both from the outside-in (shampoo) and from the inside-out (food supplements: Omega 3 DHA and Liver Support) to resolve and soothe the symptoms of allergic dermatitis such as itching and scratching. The three-step process gently cleanses the skin, decreases inflammation, supports liver function and detoxifies your pet. ArcaNatura uses all natural, less toxic ingredients to make you, your pet and the environment happy." DHA is one of the primary building blocks of the brain and is a vital supplement for your pet, especially for dogs, cats or horses with chronic inflammation and itching. Our Omega-3 DHA supplement is derived from Algae(not fish oil) and targets and soothes the root causes of inflammation, resolving chronic diseases including dermatitis, otitis, periodontitis or arthritis. A daily Omega-3 supplement is also key for the development for the nervous system and visual abilities in puppies and kittens and the prevention of brain degeneration in senior dogs and cats. Frequent bathing is the most important part of treatment for your itchy pet. 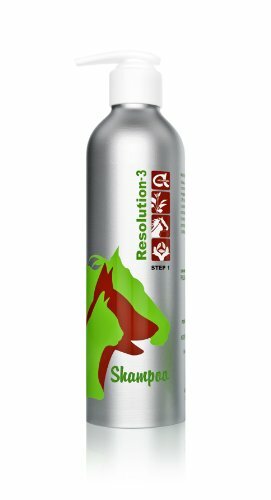 ArcaNatura's Resolution-3 shampoo contains a blend of natural cleansing and moisturizing agents including honey and vegetable glycerin to clean your pet gently, resulting in less allergies and itching. Marigold, nettle and hyptis capitata extracts in the shampoo act to reduce inflammation and allergies.